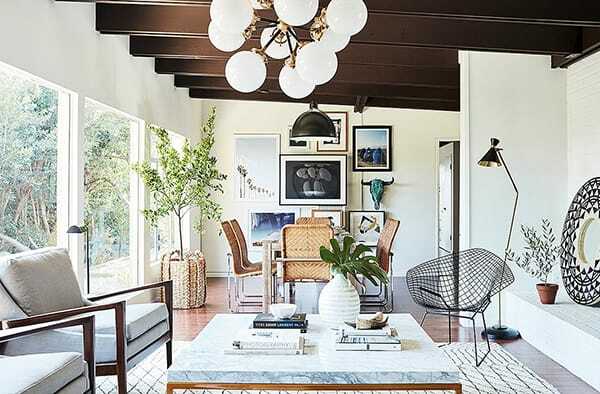 When Sophia Bush bought her main house in California, a 90-year-old woman lived in the cottage that would later become Sophia’s guest cottage. Annette had built the cottage with her husband in the 1950s, so the home had a lot of history and midcentury charm. After Annette passed away, developers threatened to tear the home down, but Sophia decided to step in and renovate the charming home. She asked One Kings Lane to help her give the cottage a fresh look while preserving the home’s original character. The result is a beautiful space full of light and comfortable style that makes it the perfect getaway for Sophia. 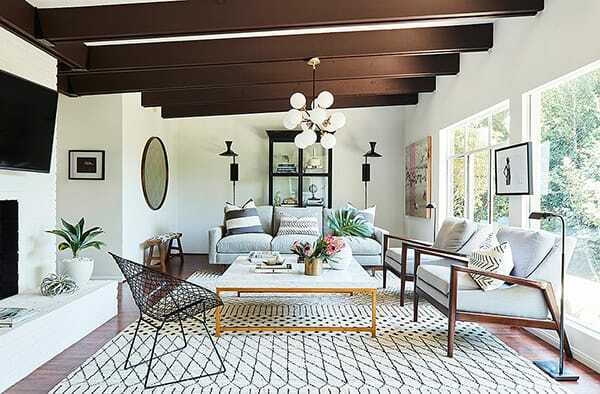 Enjoy this stylish and inspiring home tour courtesy of One Kings Lane. Your eyes are instantly drawn to the beautiful view out the many windows thanks to the white palette surrounding them. The living area feels spacious and open thanks to the natural light and white walls. The dark beams on the ceiling are a nice touch to give the space some depth and visual interest. 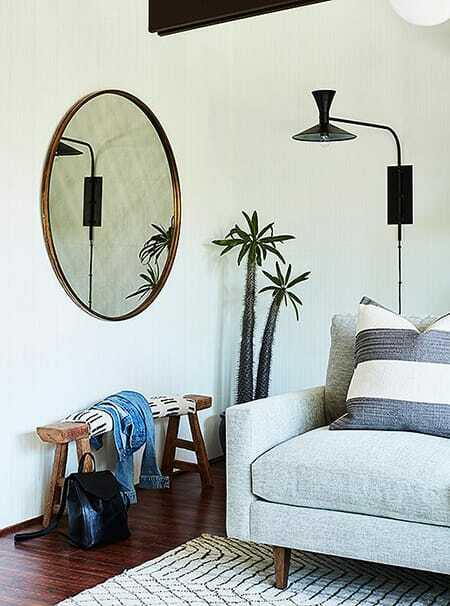 Simple decor in the form of a mirror, bench, and plant add character to this corner. The seating is arranged with the fireplace as the focal point, but the low-profile furniture ensures that the view gets plenty of attention, too. 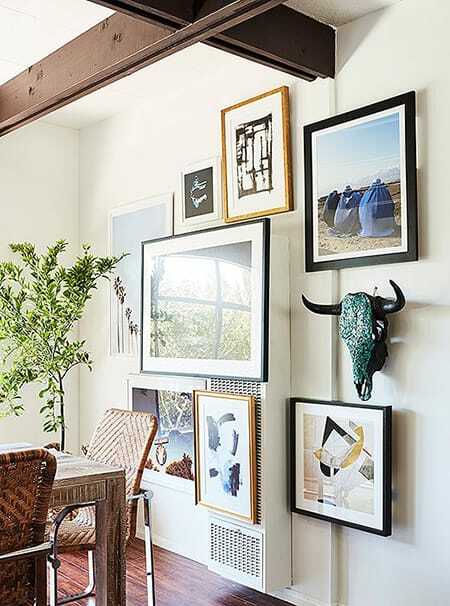 A charming gallery wall adds personality to the dining room and blocks the unattractive air conditioning unit. 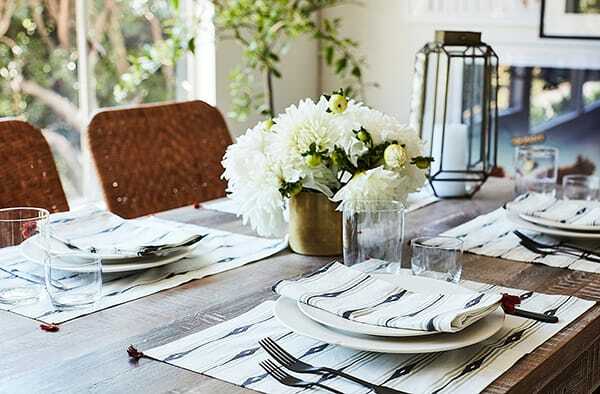 Simple black and white settings with a modern pattern create a nice contrast with the rustic wood table. 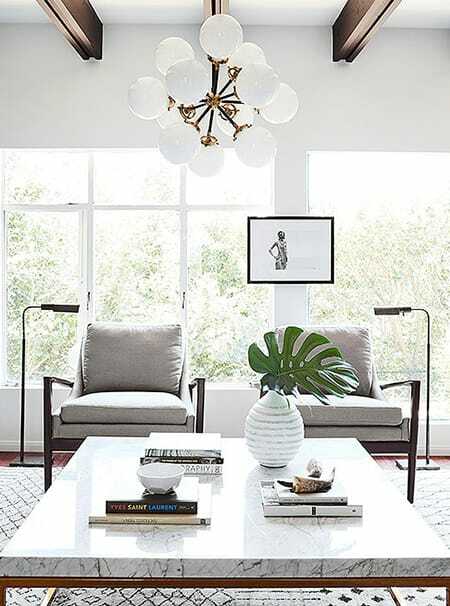 Mid-century modern shapes are given a touch of warmth with the wonderful textures. 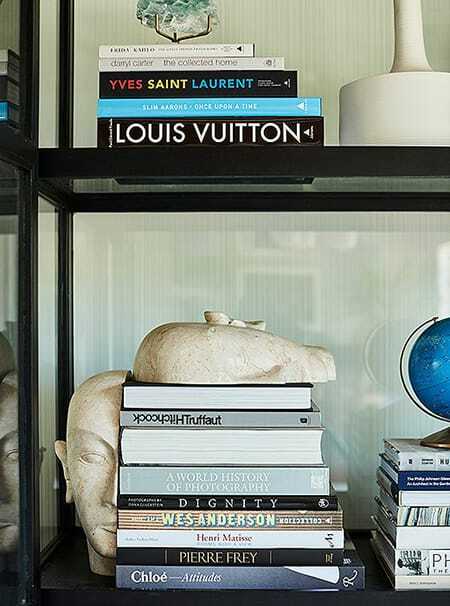 Stacked books mixed with decor create a lovely display on the bookshelves. 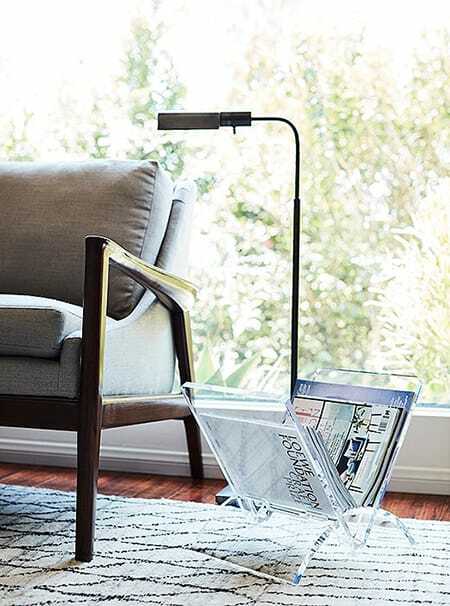 How chic is this lucite magazine holder? It looks great next to the chairs by the window, providing some character and functionality without taking up too much visual space. 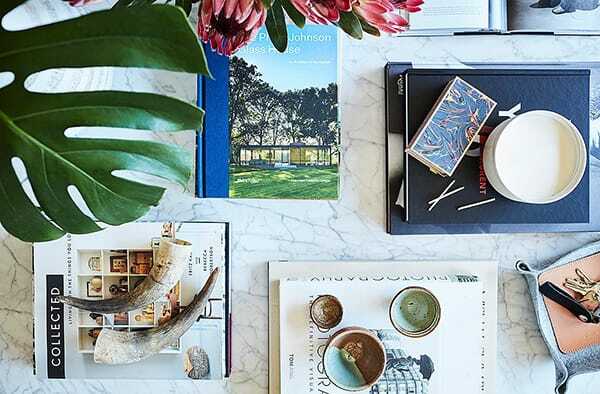 Books, plants, and decor create the perfect coffee table styling.